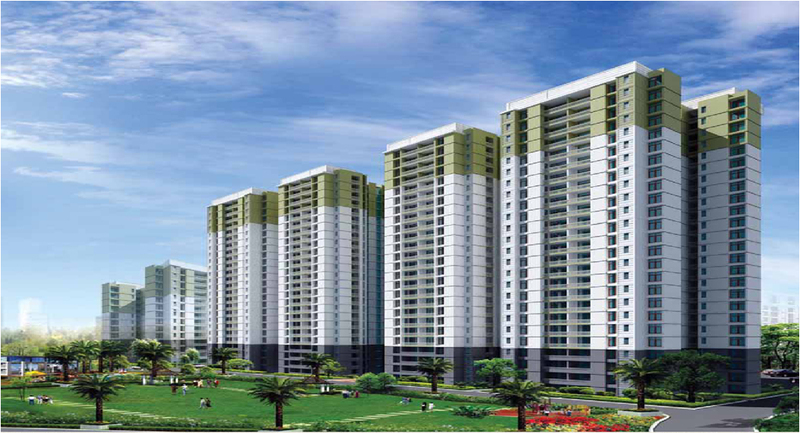 Project Address Sector-119, Noida-201301, Uttar Pradesh, INDIA. 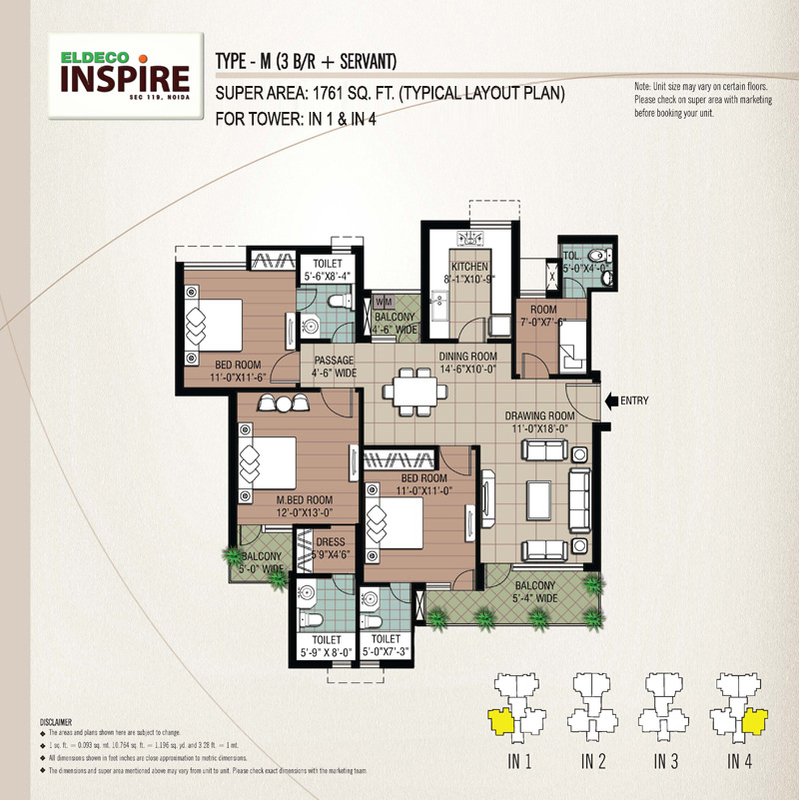 Eldeco Inspire is an ideal place for living. Stylish apartments along with superior features and world class amenities makes the venture a best in class living area. It is situated in the Sector 119 Noida. 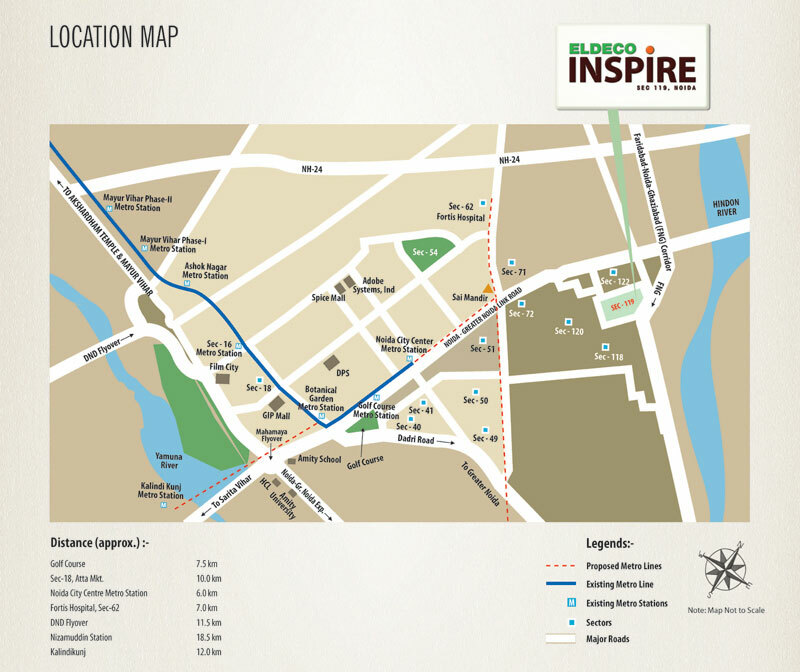 The venture is just few minutes away from the City Centre Metro Station, hospitals, Schools and Malls. The venture includes amenities such as Club house, Food Court, Lounge, Outdoor Tennis court, Dance Studio, Jogging track and many more. All the apartments consist of complete fittings. 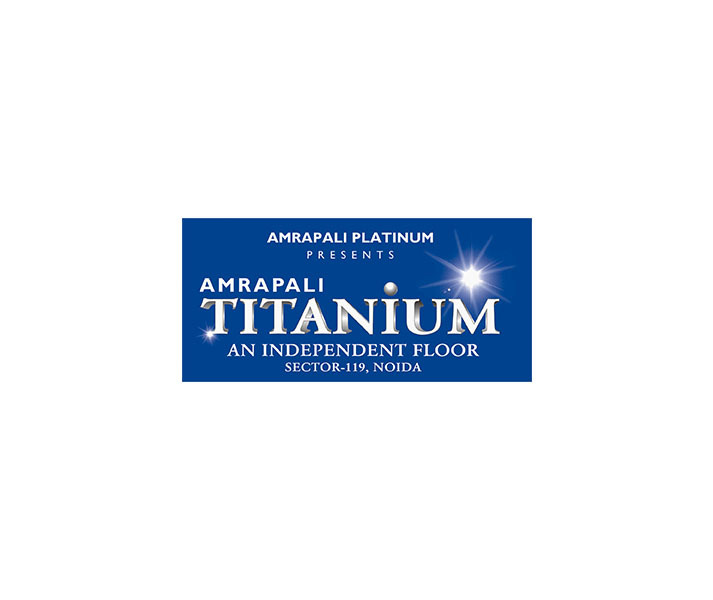 The 2,3 BHK apartments are approximately 1095 to 1761 sq.ft. The spacious rooms are a perfect place to live in with a family. Sector 119 Noida 1761 Sq.ft. 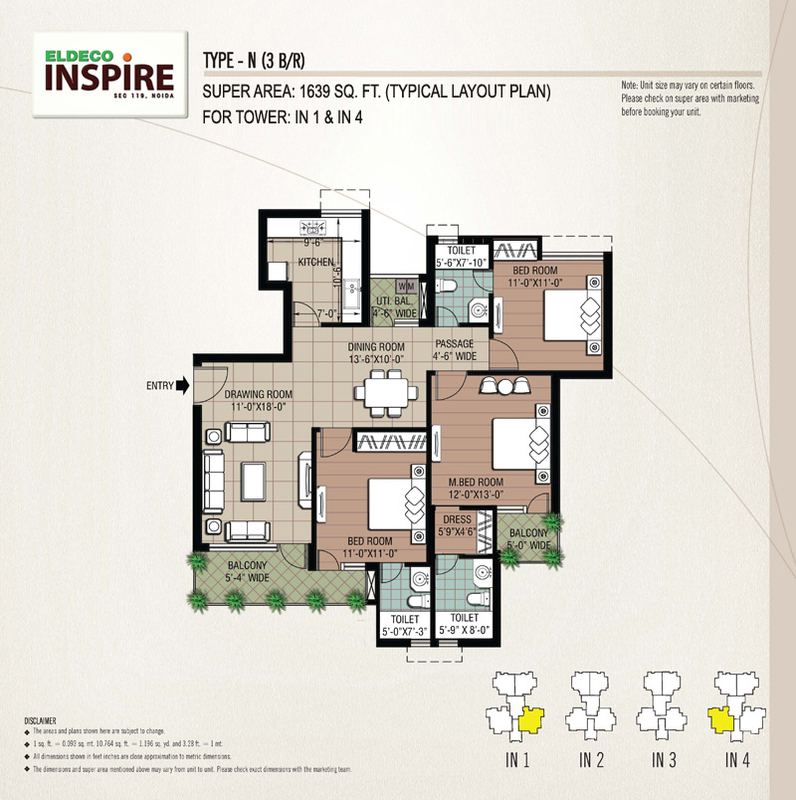 Sector 119 Noida 1639 Sq.ft. Sector 119 Noida 1278 Sq.ft. Sector 119 Noida 1295 Sq.ft. Sector 119 Noida 1286 Sq.ft. Sector 119 Noida 1121 Sq.ft. 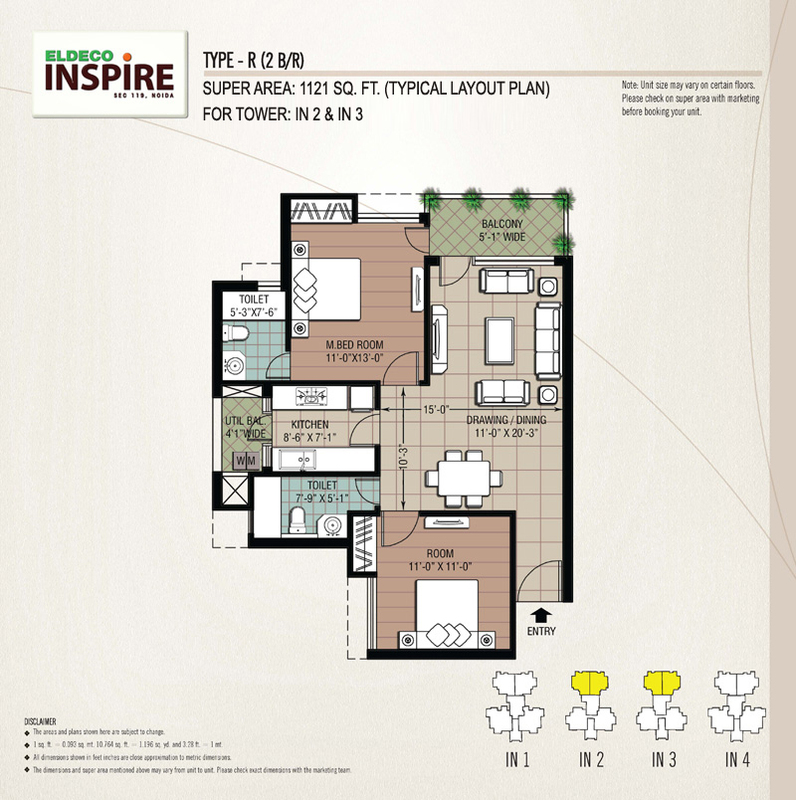 Sector 119 Noida 975 - 2325 Sq.ft. 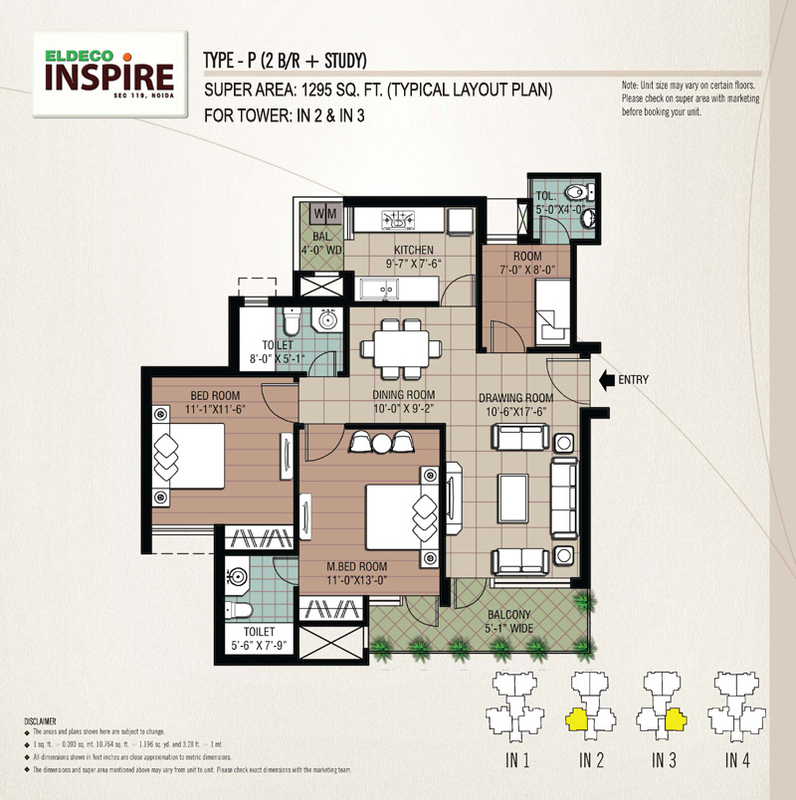 Sector 119 Noida 2662 - 4656 Sq.ft. 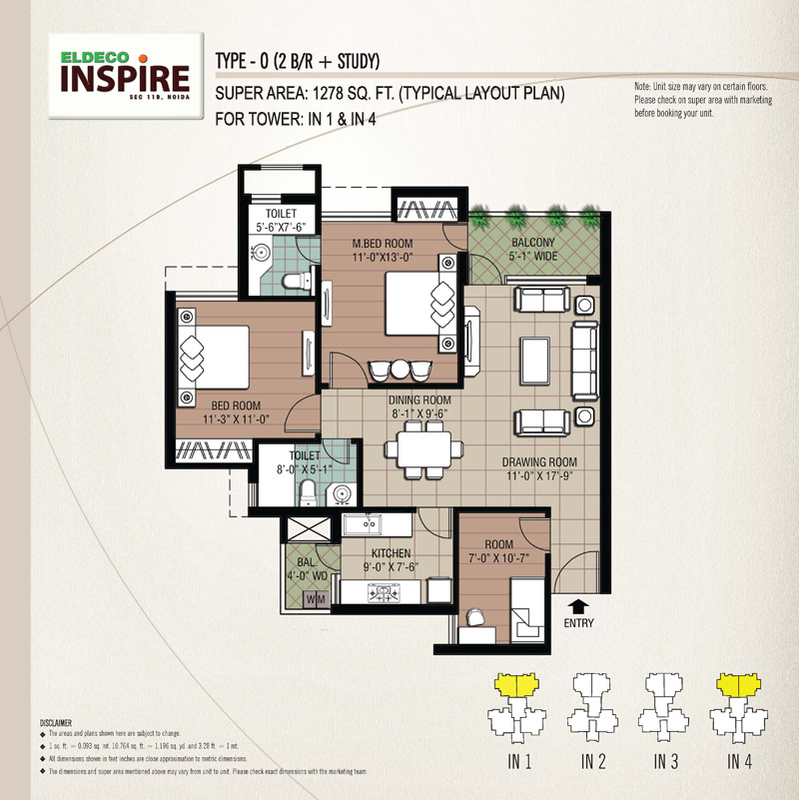 Sector 119 Noida 1111 - 2141 Sq.ft. Sector 119 Noida 1467 - 2021 Sq.ft. 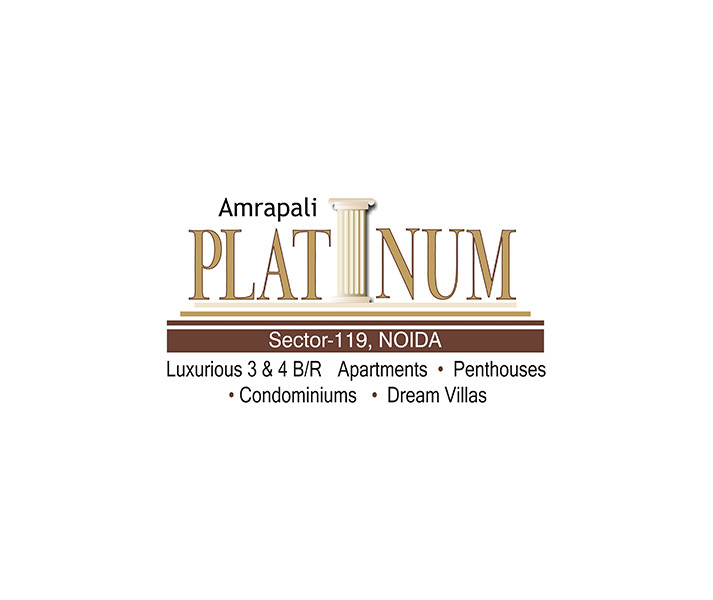 Sector 119 Noida 579 - 597 Sq.ft. 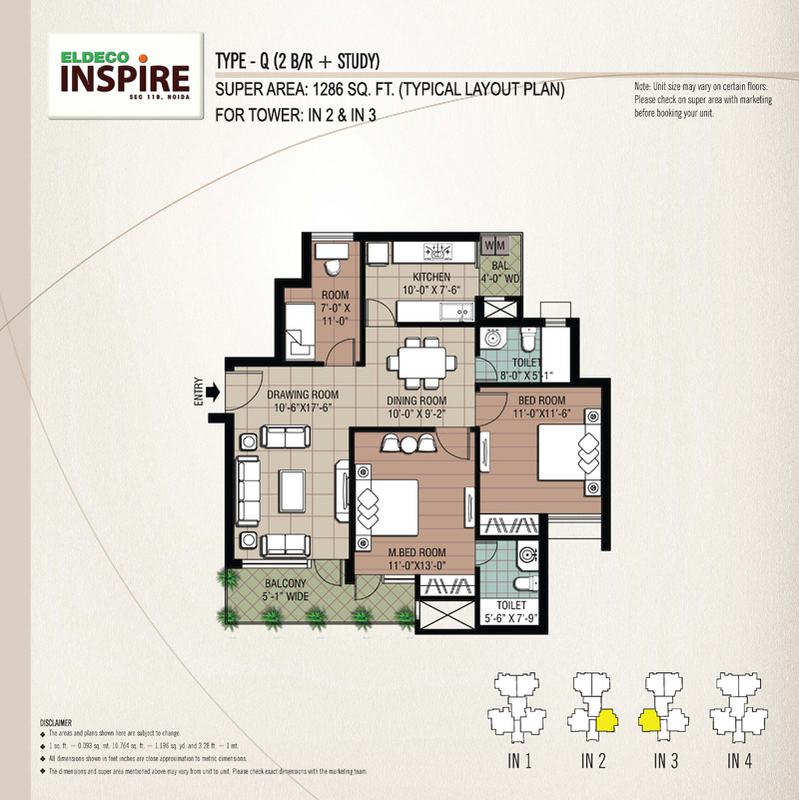 Sector 119 Noida 1000 - 3025 Sq.ft.